Are you a procrastinator? Is it hard to get motivated and do that Thing...whatever it is....that you have been putting off and that is hanging over your head? Here are 7 tips to help you get it done. Why having a mentor can help you succeed faster in your career, whether you are in a new job or new role. Find out how to find one and how to be a mentor too. Guest author and career coach Cindy Etsell offers some concrete advice in this episode on how to negotiate a job. Most of us don't, so find out why it's so important to do so and how to go about it. Can strategic quitting can save you? The answer would be sometimes, yes! 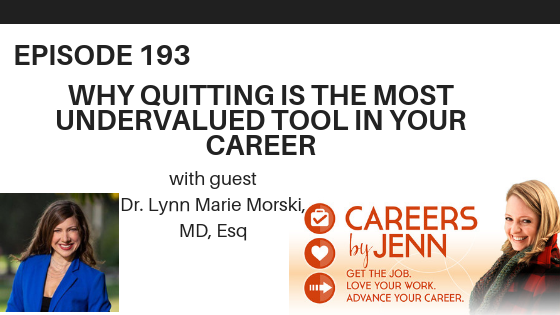 In today's podcast, my guest Lynn Marie Morski shares why she passionately believes in it.